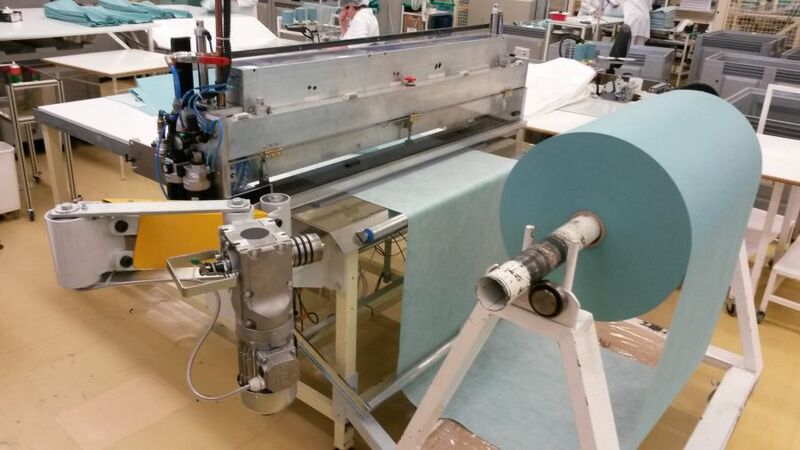 Line for unwinding of material with tension control and transverse shears for cutting. 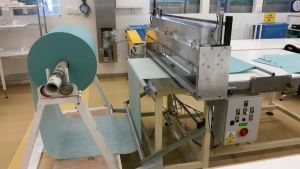 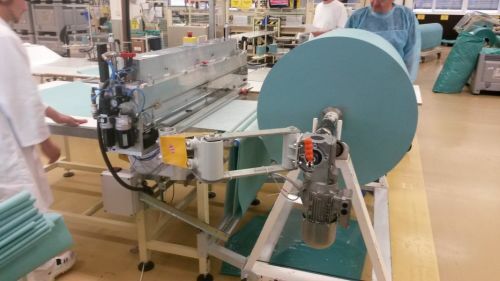 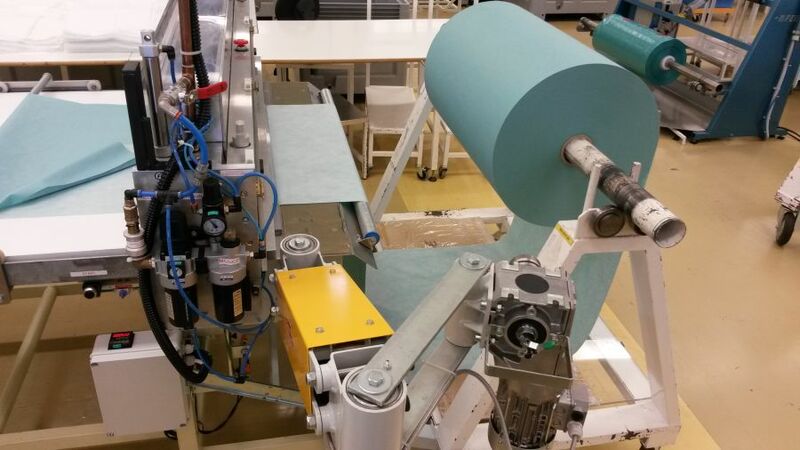 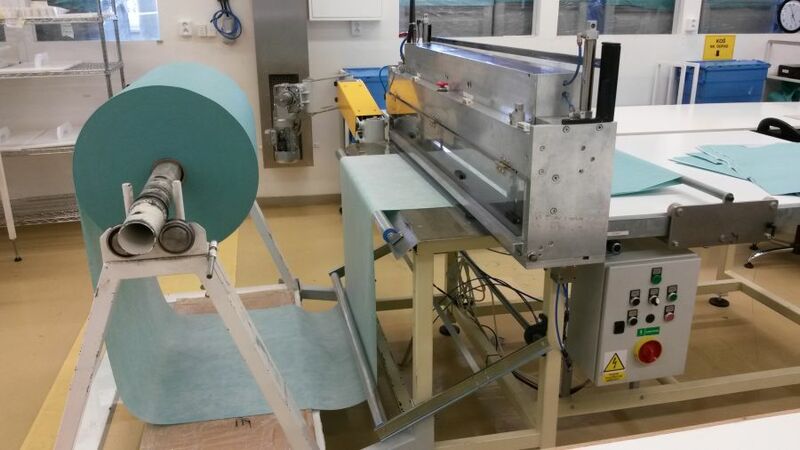 The first part of the line is the unwinding station where a roll of the material is chucked on the driven shaft. Operator manually feeds the material through the shears and sets the desired cut length. 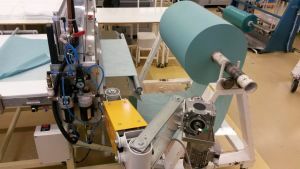 Tension control using dancers minimizes the burden on the operator.